Yesterday when we woke up and looked out the window it was delightful. More snow has fallen during the night and everything was cover with magical withe snow. It was like in fairy tails, white roofs, white streets, trees and branches… oh my. Really didn’t see something beautiful for a long time. 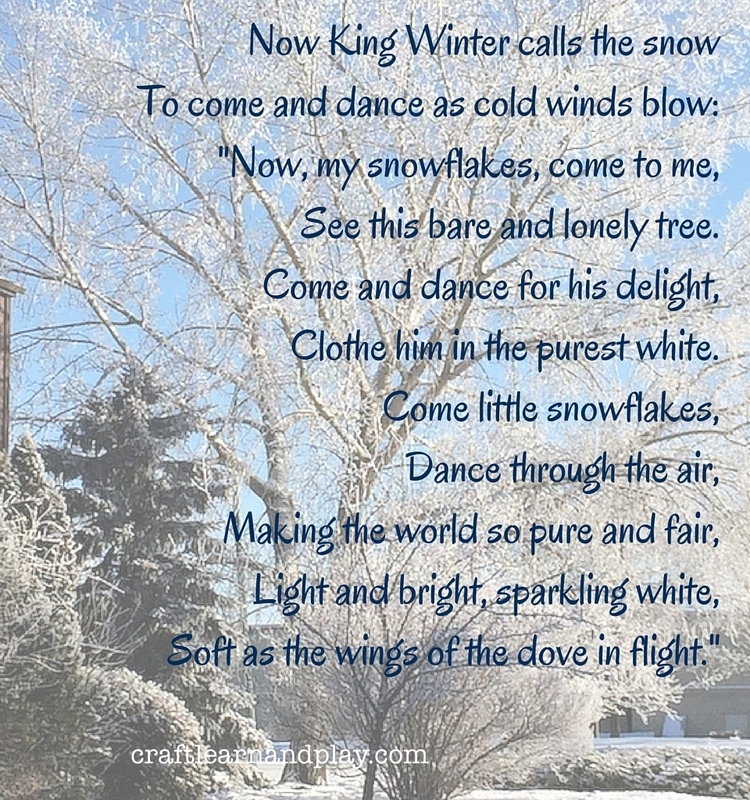 And that magic white scenery inspired me to share with you some Waldorf verses and Winter Circle Play. And brings us white and shining snow. See this bare and lonely tree. Sparkling white, soft as the wings of the dove in flight. And kissed each sparkling branch and tree. Leave the sky, for earth is calling! Fold the forest, fold the fountains. Soft and smooth as clouds in heaven.